In her article in the spring 2015 issue of ON Nature, Lorraine Johnson demonstrates how neighbours are creating pollinator habitat and restoring ecological connections in towns, suburbs and cities across the province. She provides the example of Palmerston Square Pollinator Patch – a small but diverse community garden that took root in west Toronto in 2014 and has spawned the creation of two similar gardens nearby. The article also introduces readers to the important work of Douglas Tallamy, entomology and wildlife ecology professor at the University of Delaware, and Eric Davies, PhD student in the faculty of forestry at the University of Toronto. Their research on insect populations supported by woody plants demonstrates without a doubt that native trees and shrubs support greater insect diversity and biomass than non-native trees and shrubs. Lorraine Johnson is the author of several native plant books including 100 Easy-To-Grow Native Plants and The New Ontario Naturalized Garden. Both are widely available in public library systems and book stores. 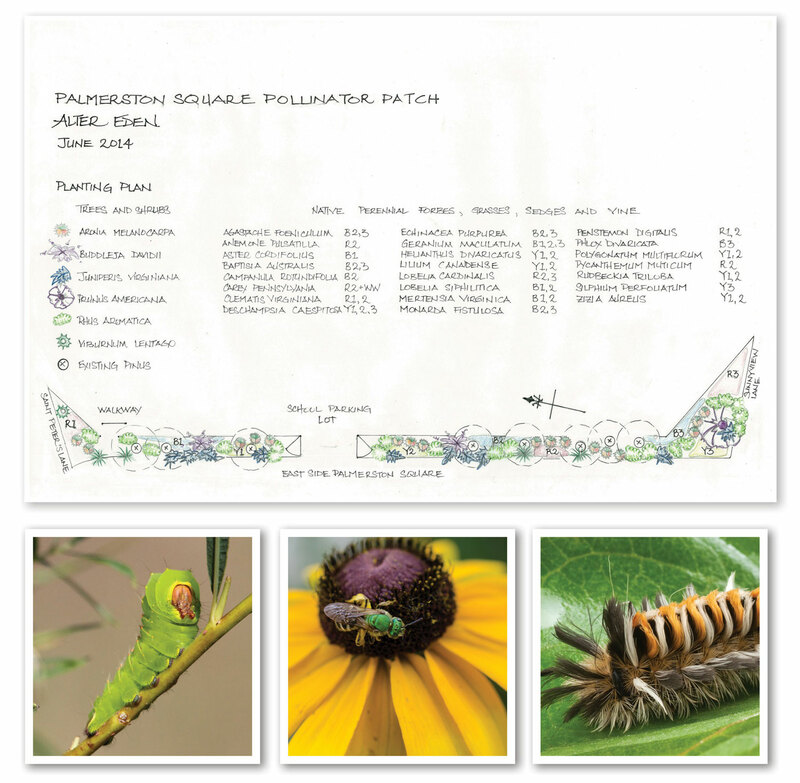 Douglas Tallamy’s book, Bringing Nature Home, and his associated website are choke-full of fascinating insect-plant relationship facts, eye-catching photos and helpful gardening tips, including plant lists. Tallamy believes that suburban landowners can and should play an important role in the creation of sustainable ecosystems by gardening with native plants. In 2014, Tallamy and Rick Darke, landscape design consultant and author based in Pennsylvania, published The Living Landscape, another book demonstrating the how and why of habitat creation in yards and parks. Both of these books are available in public library systems and book stores. The Canadian Wildlife Federation’s Wild about gardening website has plenty of helpful information as well as a searchable native plant database and nursery list. 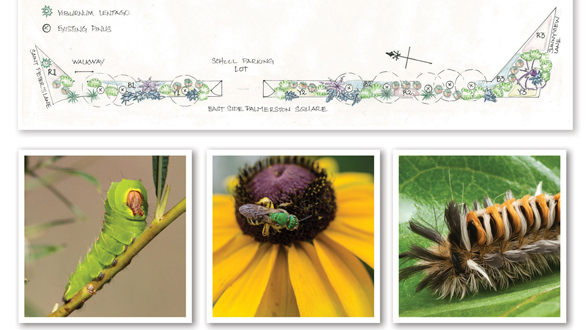 Wildlife Garden Academy is an on-line community of wildlife garden enthusiasts. Ontario Invasive Plant Council coordinates Grow Me Instead, a program that helps gardeners and landscapers swap-out non-invasive plants for common invasive ones. It can be difficult to find locally-grown native plants in big box stores and large nurseries. However, it is important to keep asking for these plants to demonstrate the demand and hopefully increase availability. North American Native Plant Society offers native plants and seeds at its annual sale, scheduled this year for Saturday May 9th at the Markham Civic Centre. 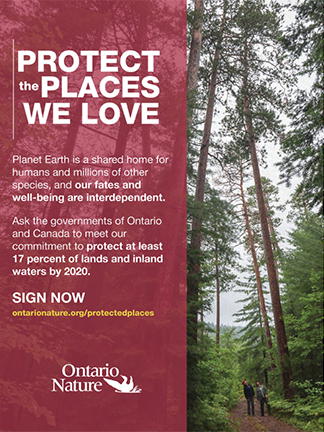 The organization’s website provides a list of commercial native plant sources in Ontario and throughout North America. 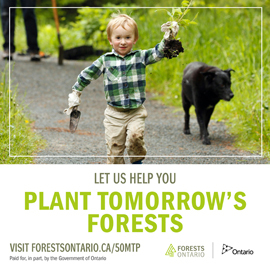 Residents of Toronto and York Region can purchase native trees and shrubs through LEAF. Plants are distributed in the spring and fall.